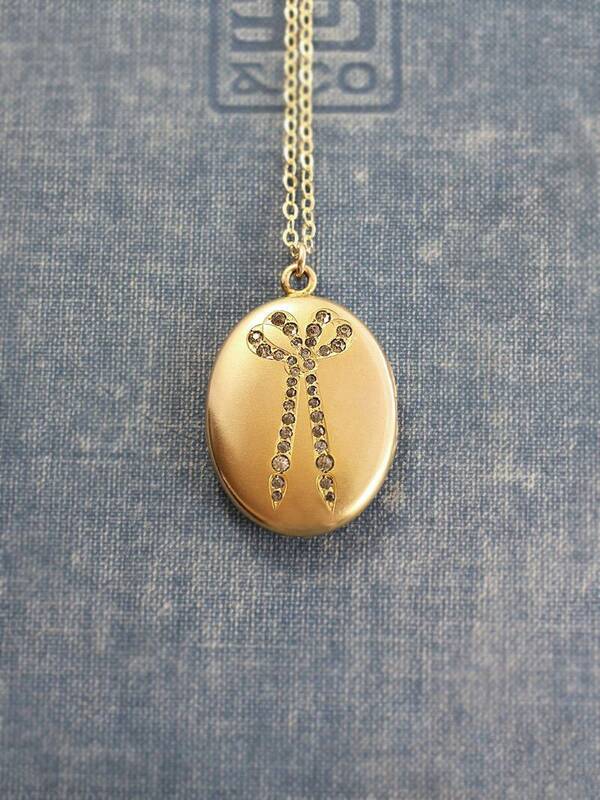 This gorgeous antique locket features a beautiful sparkling bow (mostly likely of paste stones -an antique process of creating sparkling quality faux stones). 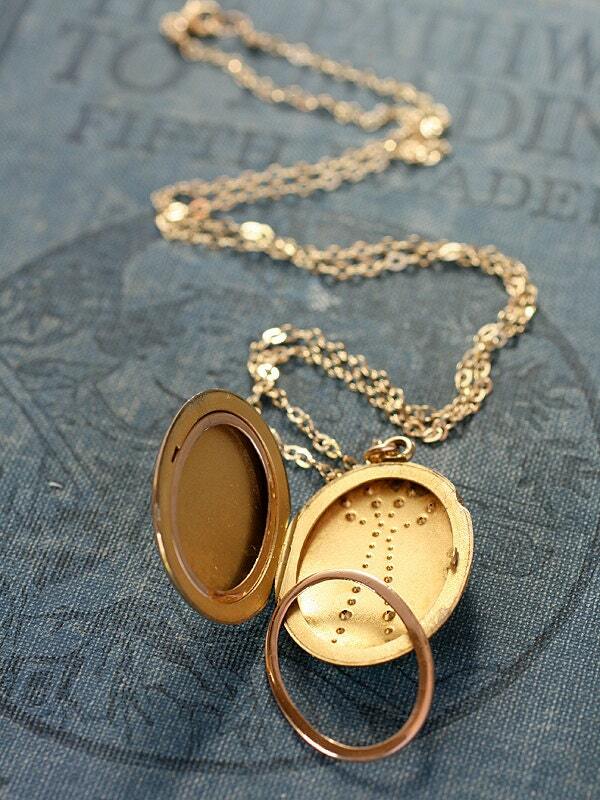 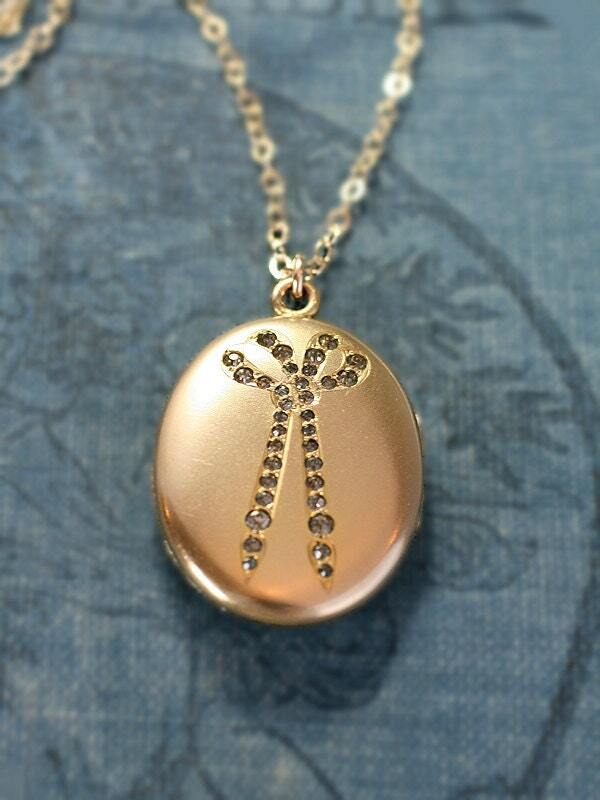 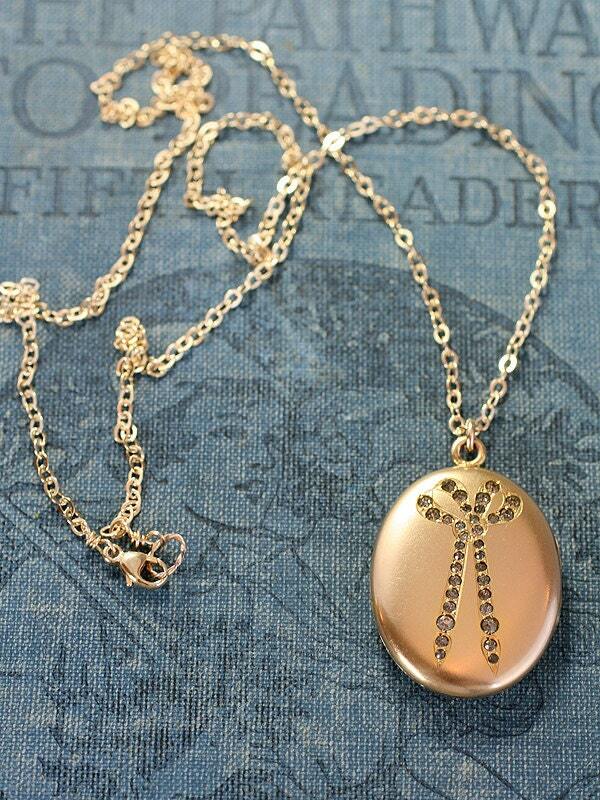 The back of the locket remains plain and monogram-free which is very rare for this type of locket. 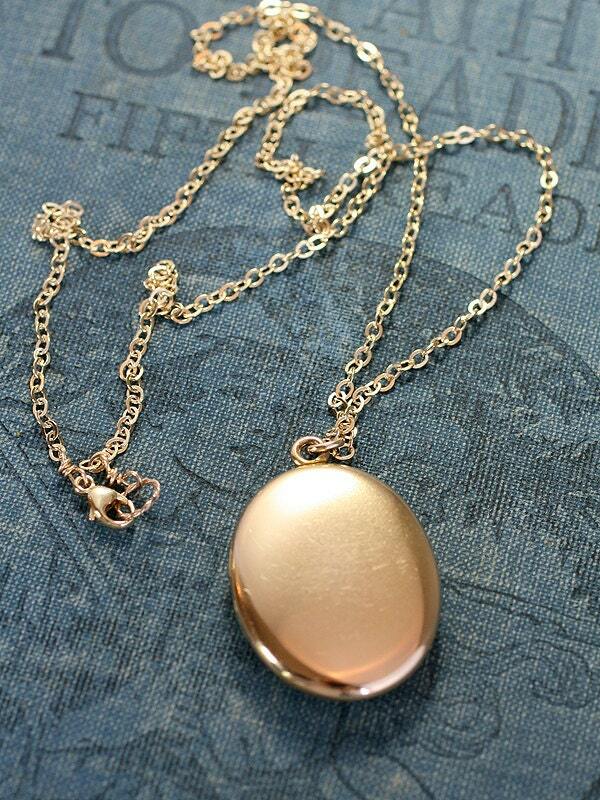 This wonderful oval locket opens to reveal two removable frames waiting to hold your beloved photographs. 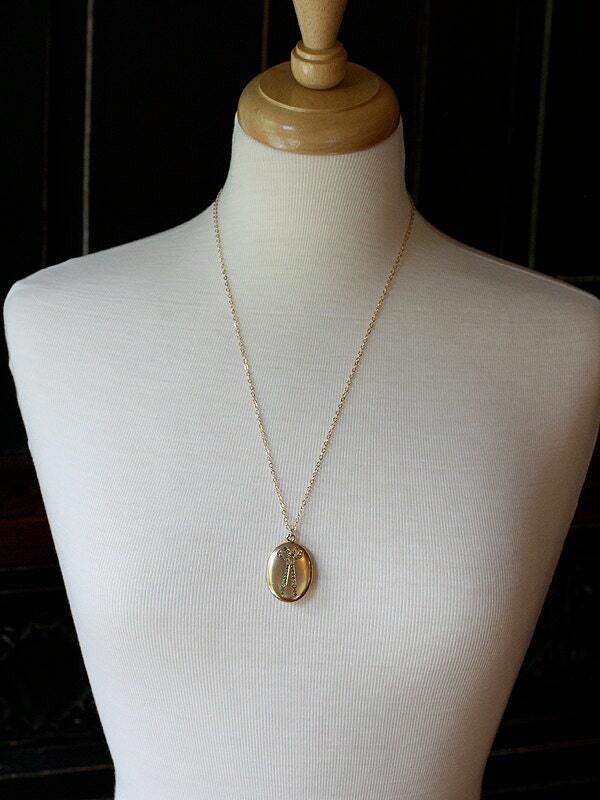 I placed this very special antique locket on a new long 14k gold filled chain hand finished with a trigger lobster clasp and ring.